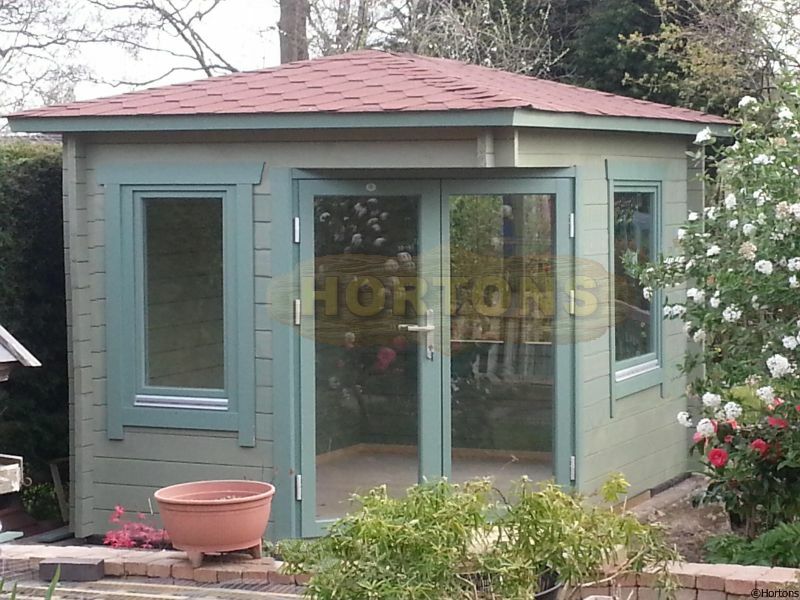 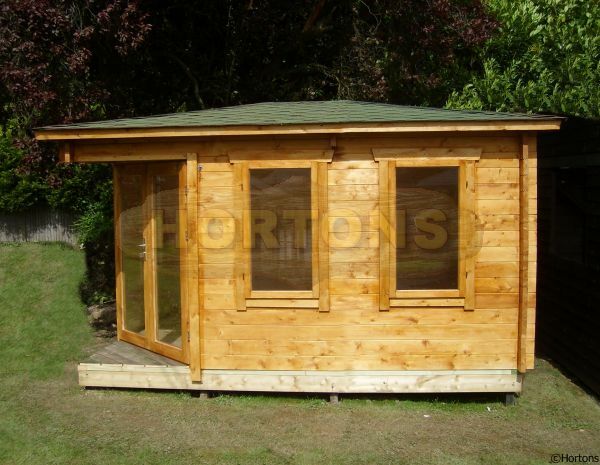 If you want a nice summer house but don't have masses of space in your garden, a corner cabin can be the perfect solution when you're looking for a good outdoor space which doesn't take up too much valuable garden space. 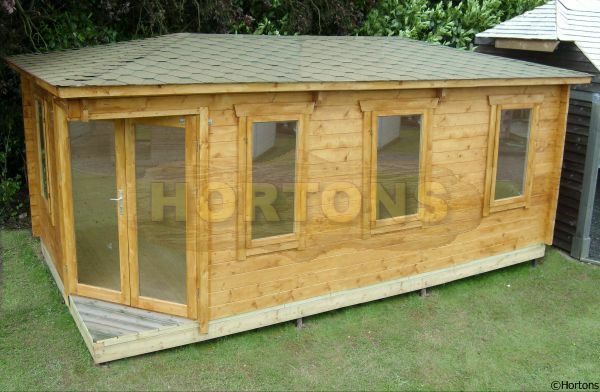 It has 5 sides, thereby forming a frontal aspect which points towards the main garden area rather than having to point a square fronted cabin at a fence or hedge, or vice versa where you end up looking at the corner of the cabin from the centre of your garden rather than how you would prefer. 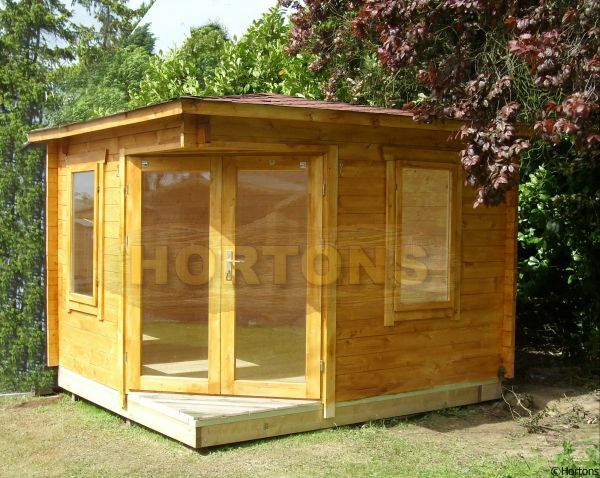 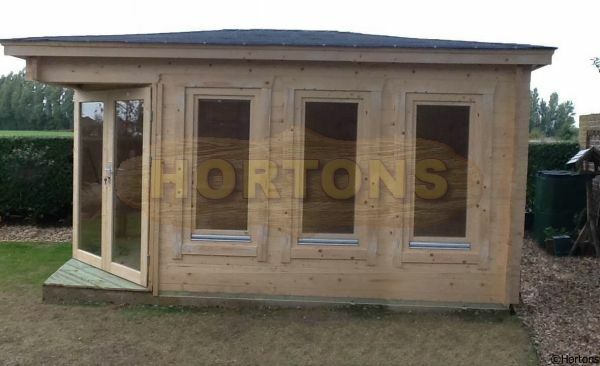 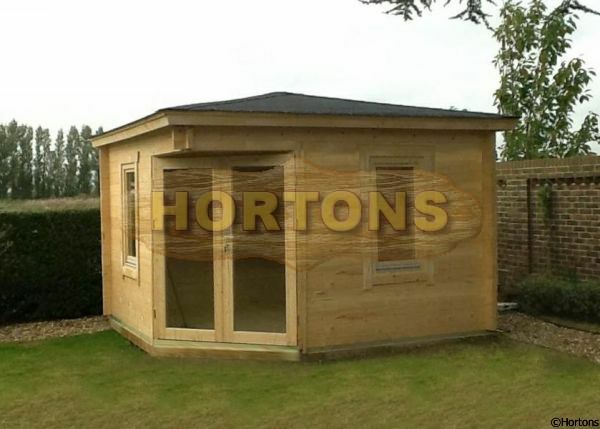 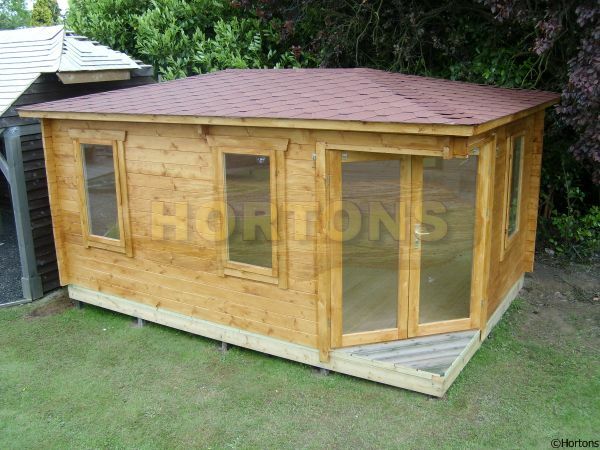 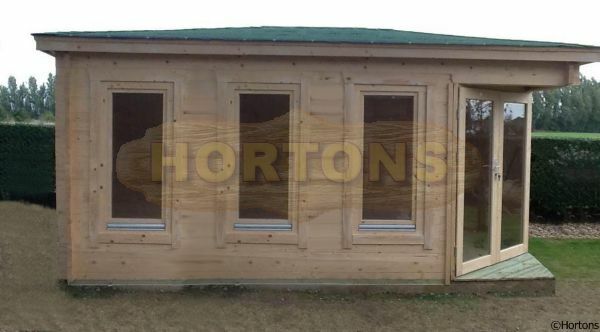 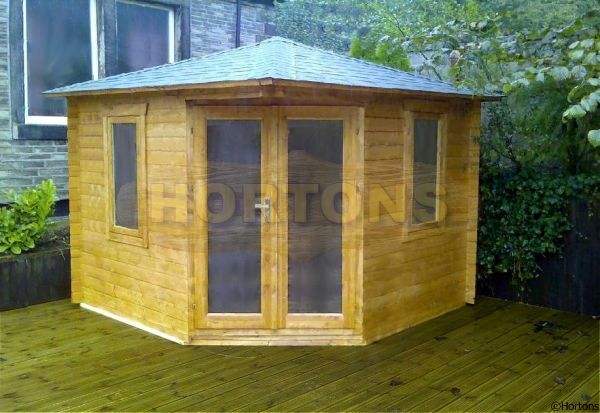 We offer both equal sided corner cabins (3x3m, 4x4m corner cabins) as well as unequal sided such as 5x3m & 5x4m corner log cabins.